of dies as the machine attachments, and 12 sets of dies for selective matching. disfigurement. Having large outspread space, the machine can be operated conveniently. 3.We can replace the dies simply and conveniently,and the replacement can be finished in 48 seconds. 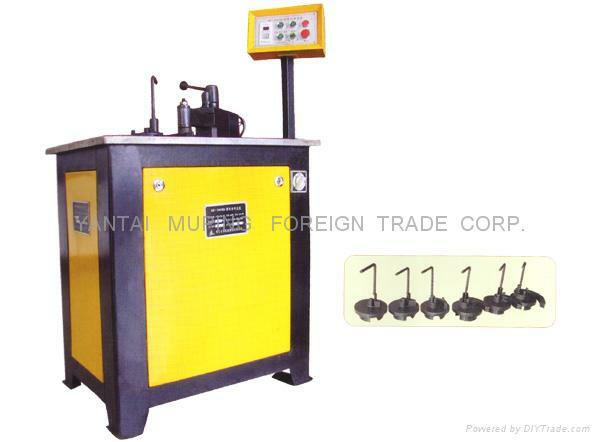 4.The machine has high working ability with the maximum ability bending 16mm x 16mm square steel. of C, P and S iron craftwork patterns. of holdup wheels: dia.50mm, dia.30mm and dia.20mm.